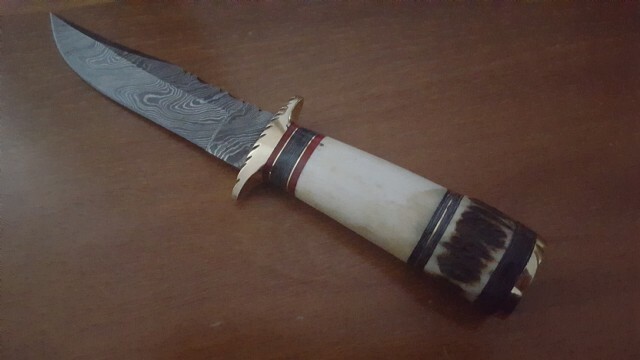 Beautifully hand made DINGO hunting knife. 5.5 inch Damascus full tang blade holds a sharp edge. 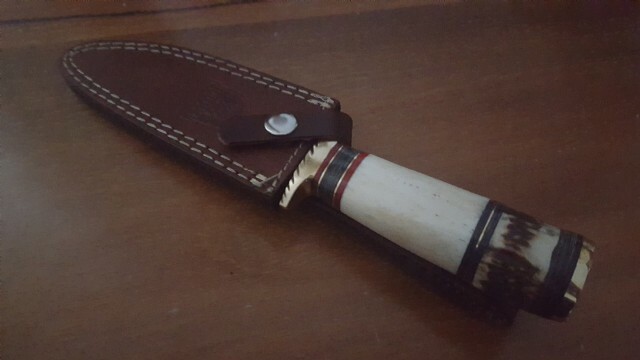 Bone/stag 4.5 inch handle with brass bolster and spacers. Snug fit in the hand.